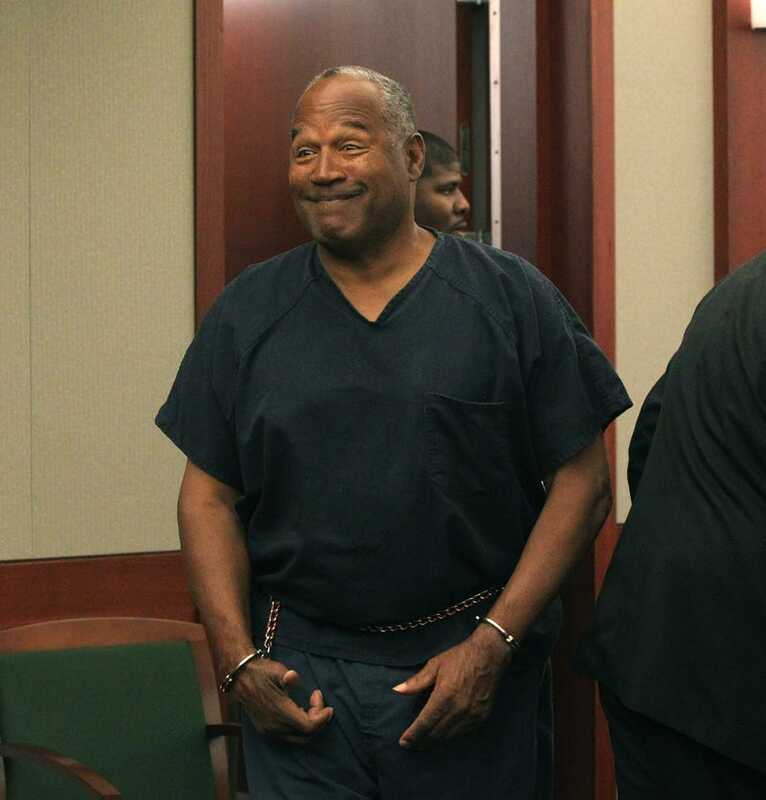 Holy cow, O.J. has been in prison since 2008. And the years haven't been kind. Simpson is on Year 5 of a 9-to-33-year sentence, for charges from kidnapping to assault to armed robbery. It's all related to a 2007, when Simpson and a group of men broke into a Las Vegas hotel room and stole sports memorabilia from the owners at gunpoint. He was back in court today; he's asking for a new trial, claiming the attorney that initially defended him, Yale Galanter, mishandled the case (Simpson says he was never told a plea deal was available) and had a conflict of interest (Simpsons alleges Galanter knew about the robbery plan ahead of time). Simpson was escorted into a Las Vegas courtroom in handcuffs this morning as a judge prepares to hear his request for a re-trial. He's expected to testify later this week.